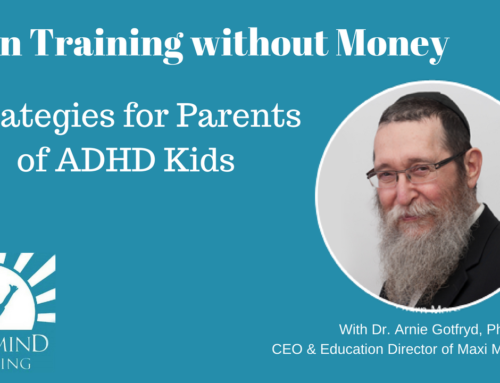 Home/ADHD, Brain, General, Learning Disabilities/When Tutoring is Ineffective and What to do About it. What do you do when your child keeps falling behind in school? For most parents, Private tutoring services are the first line of defense for helping the chronically struggling student. In fact upwards of one third of Canadian parents have used tutors to try and bridge that gap. They work at your child’s pace. They give your child personal, one on one attention. They can focus on specific learning challenges. We like to believe that all this extra time, attention, and focus on overcoming obstacles can help your child keep up with the class. But what’s the typical outcome? Is that academic gap really closing? Is there a better way? 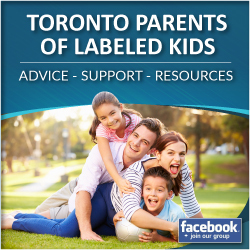 When a child is falling behind in school or getting bad grades that is only a symptom. A tutor treats this symptom by providing the missing information or boosting the missing skills. But then the next day comes with more lagging behind so the tutor has to come again. The goal of catching up keeps receding because tutoring does not treat the root cause. So what is the cause of the poor grades? For most children it comes down to just a few factors: Focus, boredom, and processing – all of which are typically caused by weak connectivity in the brain. The number one cause of children falling behind in class is due to an inability to focus and pay attention in class. Teachers are trained to create lesson plans that build slowly on ideas piece by piece to ensure that the class can keep up. However, if your child can’t focus on the lesson while it’s being taught, and misses one of these critical pieces he will be lost and confused. The rest of the lesson will no longer make sense and he is now stuck. While tutoring can help fill in the gaps and teach these missing pieces, it won’t help your child build the much-needed skill of paying attention. If children don’t learn how to improve their focus, they will continually be forced to get extra help. When attention skills are the problem, tutoring is not the solution, it’s just a short-term band-aid. All kids get bored from time to time, but a kid that’s always bored with school or homework has something else going on. The child that says, “School is stupid… The teacher keeps repeating the same thing… Why do I have to learn this… They make us do all these dumb exercises” sounds like a really bright kid, maybe gifted, with not enough challenge in the curriculum. But that’s just part of the story. A lot of those kids don’t get the lesson, don’t learn the skills, and can’t do the exercises. Their boredom is neurodevelopmental – they need high-stim in order to overcome weak executive functions and a hijacked reward circuitry in the brain. Tutors can’t cure that. For information to be useful, it must be effectively and efficiently processed. Some kids in class hear the words, even understand the words as they go by, but can’t properly store, process, retrieve and combine the ideas which is how learning happens. They may be diagnosed with a Learning Disability. Many parents complain that the tutor has to teach the same thing over and over because lessons taught are either not remembered or can’t be applied in a different context. That’s because tutors teach subjects – not brain processes. How can we break the cycle of lost lessons and band-aid catch-ups with tutors that never help the child function independently in the classroom? To create lasting long-term change we must find a way to improve attention and concentration, working memory, and executive functioning. These issues are formed inside the brain through a lack of neural connections. The solution must therefore deal with the brain and work on creating these neural connections. Maxi Mind Learning provides Brain Training Courses which are a drug-free solution for focus, learning and self-regulation problems. Each course is customized and personalized in one-on-one sessions with a Maxi Mind trained and certified neuro-educational therapist – a brain training coach. Each session consists of a unique blend of Sensory Integration Exercises, Engineered Listening, and Computerized Focus Training. The activities are fun for the child, yet powerful for his brain development. And with over a 90% success rate on 500 courses delivered over the last several years, the results speak for themselves. Help your child gain that extra boost this school year by enrolling in a Maxi Mind Program today. To get started share your story in the form below to get a free consultation at which we will provide a clear picture of how we can help, and what would be involved on your part to get this life-changing boost in focusing, learning and self-control for your child. The Maxi Mind journey starts with a no cost, no obligation, face-to-face meeting with one of our highly qualified neuro-educational specialists at the Maxi Mind Learning Centre in Thornhill. At this meeting you can share your story, get a free preliminary assessment of your child’s needs, experience our focus-through-fun brain training system, and get answers to all your questions. We respect your time and before having you come in for a consultation would like to verify a few questions to ensure that it is a good fit. Simply check the boxes below to qualify for the consultation. Unfortunately if you do not check one of the boxes then we are not able to help you and your child at this time. Fill in your information & we will email you your booking link.